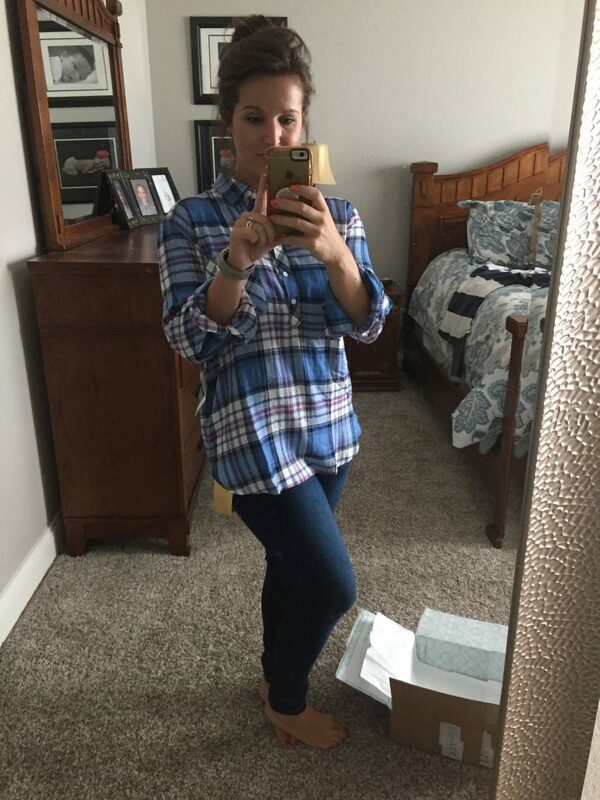 I got my 21st Stitch Fix delivery this week and can’t wait to show you all the pictures, and share what I kept from my Stitch Fix and what I returned. 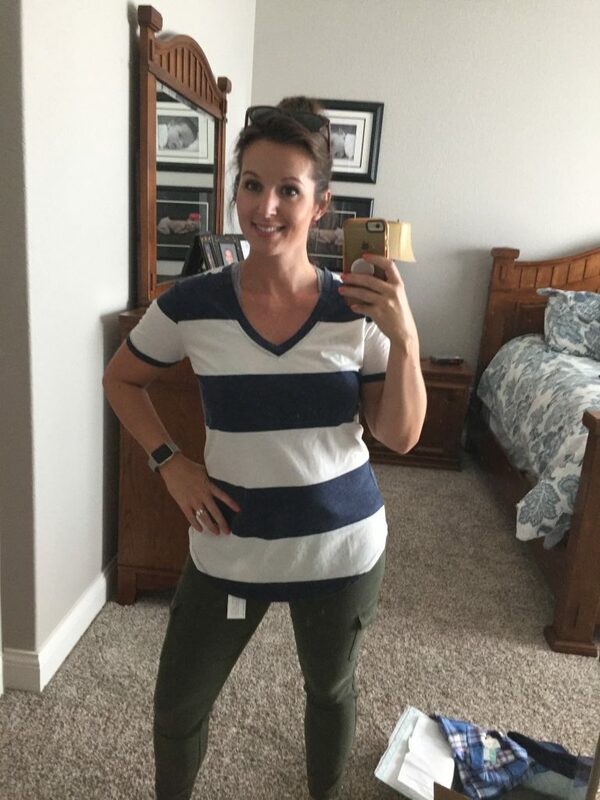 In all truthfulness Stitch Fix is my favorite — and it’s not even really a splurge when you do it right, let me show you how! 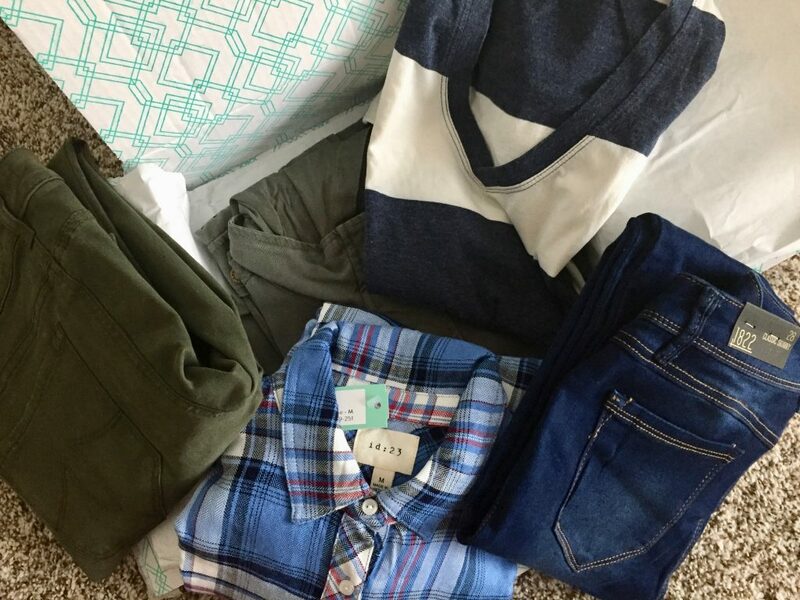 See how to get free clothes online with Stitch Fix! When a friend says “What is Stitch Fix” or “I’ve never tried Stitch Fix” or … “I’ve never even heard of Stitch Fix” I am baffled. I always think of Stitch Fix as a household name, but alas I realize that it’s for sure not a household name still, and that not everyone has had the lucky fortune of trying it. I’d venture to guess that the reason that some people are nervous to commit to trying something completely new like Stitch Fix is that it’s just out of their comfort zone. And, possibly the fear of losing out on $20 since there is a small styling fee (it might be waived for you here!). Fair enough, because that could definitely happen — that is if you don’t like anything in your box, but I find that that almost never happens. Let me show you what was in my Stitch Fix box this time and then, I’ll share with you my tips. PS. Are you expecting a baby? You can use your Stitch Fix credit towards Stitch Fix Maternity! ** I did however ask to exchange them for one size up. I love that you can now easily request a size exchange when you checkout your order. This was a toughy – I was on the fence about this top because it was SO soft! But, in frugal fashion, I knew that I wouldn’t be prone to wear this “out and about” and therefore, didn’t need it as a staple item in my wardrobe. Sent this one back. 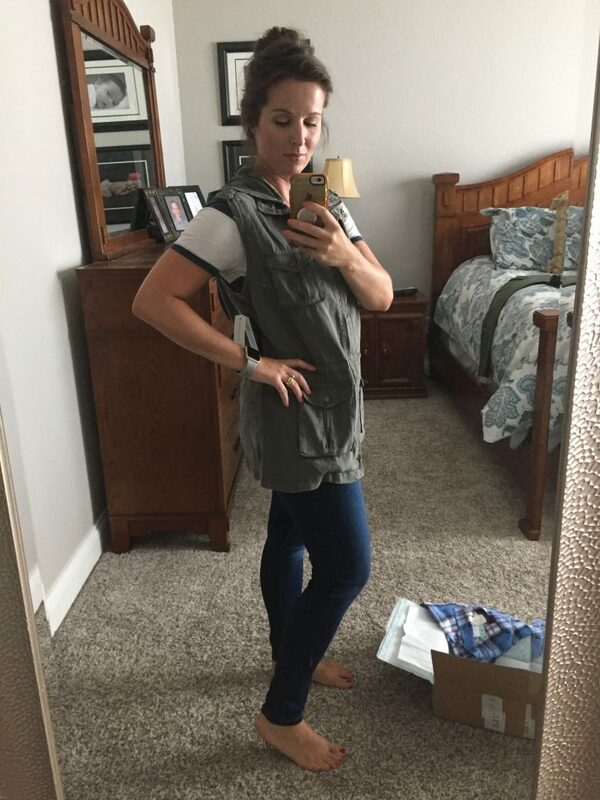 If I didn’t already have a cargo vest that I love then I would have totally kept this one! So cute and since it’s cargo.. of course I loved it! 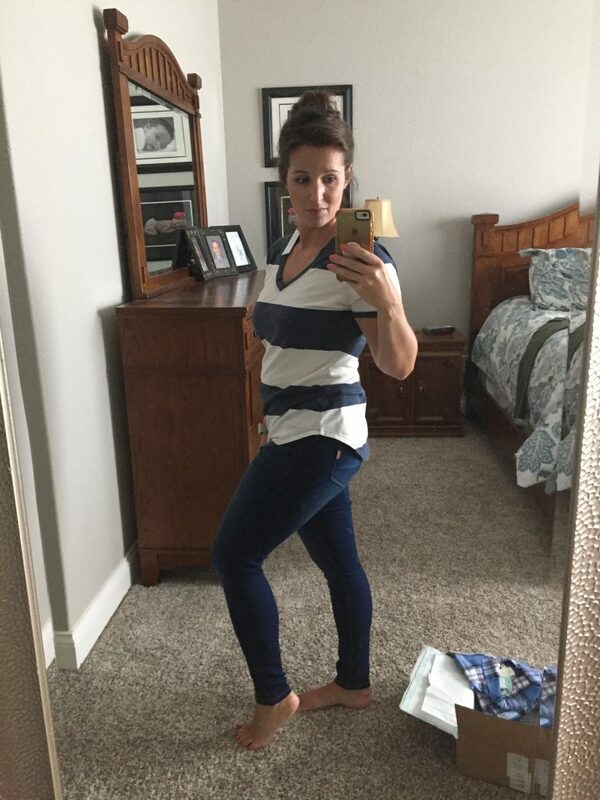 I was so excited to see these jeans in my fix! I have my distressed jean collection completed, but I needed a cute, fitted pair of jeans that were tight in the calves for fall to easily slip into boots and these fit the bill to the “t”! And, “to boot” (ha! See what I did there?! ), they were ONLY $40, so if you take the styling fee into account, just $20 after the credit – bonus, right?! 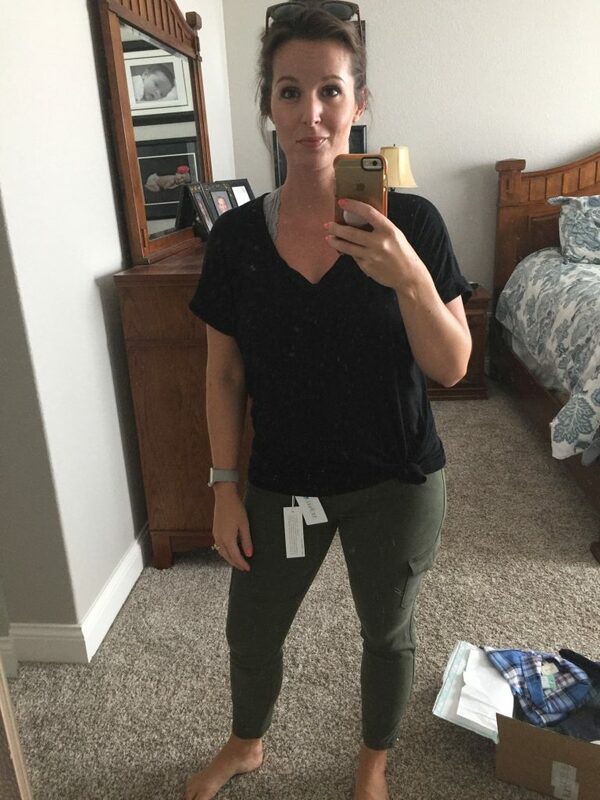 So, with this Stitch Fix, I ended up getting two pair of pants for about $100. I didn’t have to leave my house to hunt them down and they’re both designer brands. You’ve gotta love that, right?! I know that Stitch Fix can sometimes seem out of reach on the pocketbook, so I wanted to share my best tips for getting the look right the first time you try it. Tell the truth on your sizing. This isn’t your driver’s license, ok? Be as truthful as you can on your height, weight, shape of body, etc. as this will help your stylists immensely in getting the best styles for you to wear. I truly in my heart of hearts believe that the Stitch Fix stylists want everything to be something that you’ll go crazy over, so the more information you give them, the better the chance that they’ll pack in your box things that you’ll absolutely love. Be Specific. Seriously. Down to the very smallest minute detail (aka. I hate bird prints. Or, floral looks like curtains on me.) Think of it this way, if you are so incredibly detailed in your survey then there is a greater chance that they’re going to send only the things and prints that you’ll adore. Offer Pinterest Boards. This is my best advice. If you show the Stitch Fix gals your Pinterest boards they’re going to feel like they know you right away. Again, giving a better chance that you’ll love all of the items in your fix. And, when you love all of the items in your fix (and keep them all) then you’ll get 25% off your box, often times making one or two items FREE! Always use your styling fee. Never leave your styling fee on the table! You’re going to spend the $20 styling fee no matter what, so you might as well put it towards something in your fix! What questions do you have about Stitch Fix? Email me at kate@couponcravings.com — I’d love to hear any questions you have!